Enucleation is commonly performed by general practitioners, surgeons and ophthalmologists. Indications include ocular trauma, end-stage glaucoma, perforated corneal ulcers and birth defects. Even though enucleation may seem like a routine surgery, there’s no reason to skimp on pain management, which is easily and cheaply done. Patients experiencing pain after enucleation are more likely to cause self-mutilation and have a higher incidence of dehiscence. This in turn creates even more pain. Fortunately, any practitioner can implement effective pain management. Pain control starts with pre-medication using a strong opioid such as hydromorphone, which could be combined with midazolam. If you use an opioid in a constant rate infusion, the premedication dose will serve as a loading dose as long as you start CRI soon after the initial injection. You can use induction and inhalant agents of your choice. Most study authors seem to induce with propofol and maintain anesthesia on isoflurane with oxygen. There are three main local block options: retrobulbar injection, infused hemostatic sponges and splash block. Bupivacaine 0.5 percent, which has been shown to possess three times the analgesic effect of lidocaine, is recommended. Its duration of action is up to six hours. The dose used in all three techniques below is up to 2 mg/kg in dogs and up to 1 mg/kg in cats. Prefill a syringe with the calculated amount of bupivacaine. Bend a 1.5-inch-long, 22-gauge spinal needle at 10 to 20 degrees. Palpate the inferior orbital rim. Aim your needle at the lateral third of the eyelid. Advance the needle through the skin without changing the needle direction. You should notice a “pop” when the needle pierces the orbital fascia. The needle is then directed nasally and dorsally and advanced 1 to 2 centimeters toward the caudal aspect of the orbit. Aspirate before injection to prevent injection into a blood vessel. Prefill a syringe with the required amount of bupivacaine. Use a 1.5-inch, 22-gauge needle. Spray or “splash” the bupivacaine into the orbit after enucleation. Hold the edges of the eyelids up to avoid spillage. Allow at least 30 seconds of contact time before closure. Prefill a syringe with the appropriate amount of bupivacaine. Infuse a hemostatic collagen sponge with the calculated dose of bupivacaine, which will be soaked up. In small patients, only part of the sponge may be used. Postop enucleation appearance performed of an because of a ruptured globe. After enucleation, place the soaked sponge into the orbit just before closure. The sponge technique can help with hemostasis. The riskiest of the three techniques described above is clearly the retrobulbar block. Complications due to improper technique include globe perforation, brain stem anesthesia, convulsions, hemorrhage and even cardiopulmonary arrest. Again, always aspirate before injecting, because IV bupivacaine is cardiotoxic and can cause arrhythmias and hypo-tension. Postop pain peaks six to eight hours after enucleation, so patients may require rescue doses of the opioid or an increase in CRI. Signs of pain usually start subsiding 24 hours postop. Enucleation patients should be sent home on an oral antibiotic and pain medication. A study compared the analgesic effects of tramadol and carprofen in over 40 dogs. Although tramadol appeared to give adequate pain control to some dogs, carprofen did an overall better job. As with any procedure, every patient is different, so monitor signs of pain frequently and adjust your protocol as needed. C. Delgado, et al. 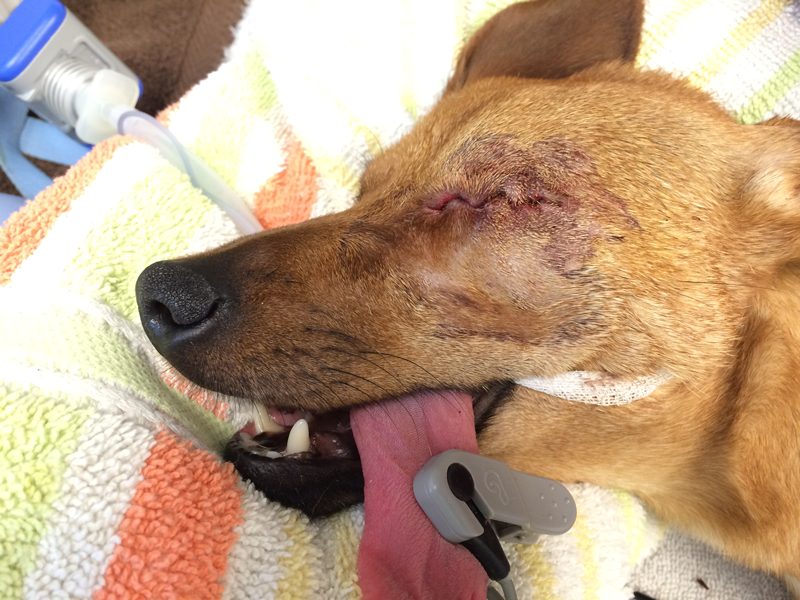 “Comparison of Carprofen and Tramadol for Postoperative Analgesia in Dogs Undergoing Enucleation.” JAVMA. 2014, Vol 245, N 12, p.1375-1381. CL Ploog, et al. “Use of Lidocaine-Bupivacaine-Infused Absorbable Gelatin Hemostatic Sponges Versus Lidocaine-Bupivacaine Retrobulbar Injections for Postoperative Analgesia Following Eye Enucleation in Dogs.” JAVMA. 2014, Vol 244, N 1, p. 57-62. DW Chow, et al. “Comparison of Two Bupivacaine Delivery Methods to Control Postoperative Pain After Enucleation in Dogs.” Vet Ophthalmol. 2015, Vol. 18, N 5, p. 422-428. KE Myrna, et al. 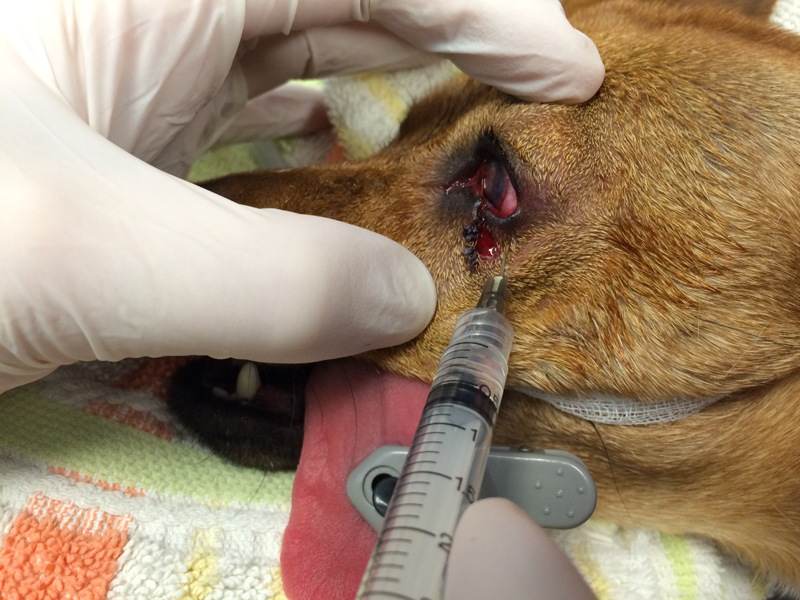 “Effectiveness of Injection of Local Anesthetic Into the Retrobulbar Space for Postoperative Analgesia Following Eye Enucleation in Dogs.” JAVMA. 2010, Vol 237, N 2, p. 174-177. Y. Shilo-Benjamini, et al. “Plasma Bupivacaine Concentrations Following Orbital Injections in Cats.” Vet Anaesth Analg. 2016, in print. Dr. Phil Zeltzman is a board-certified veterinary surgeon and serial entrepreneur. His traveling surgery practice takes him all over eastern Pennsylvania and western New Jersey. AJ Debiasse, a technician in Stroudsburg, Pa., contributed to this article.